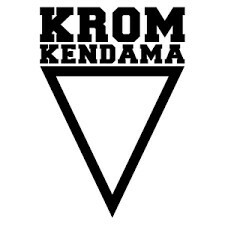 The kendamas have been optimized in all areas and is a part of our newly upgraded KROM collection. Insane KROM Crack Kendama with quite a different look and a very durable paint finish. The cracked paint gives the kendama a rather unique expression and you are sure to get a kendama that stands out! The KROM brand is developed and designed by the worlds best players in Copenahgen, Denmark. **NB** The green & blue model is at the moment slightly brigther then the photo and video shows. Still plays and looks great of course.